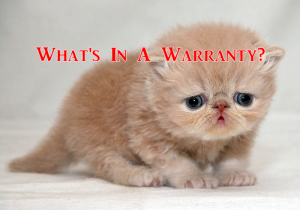 What's in a Warranty? - "The Home Exterior Guru"
When it comes to home improvements and warranties…buyer beware! Many companies promote their products as having Lifetime warranties. First, let’s understand the wording in Lifetime Warranty. You see in the state of Virginia that’s only 7 years! For a warranty to be truly Lifetime it must be specified by lifetime of what? The “what” may mean…lifetime of the home, lifetime of the homeowner, or something else more specific? Obviously the best warranty is the Lifetime of the Home Warranty. This type of warranty is based on the structure, so as long as the structure is standing then there should be a warranty. There are some other issues buyers need to understand. First of all, who is actually responsible for the coverage of your warranty? For example, when you invest in windows provided by XYZ Home Improvement Company and XYZ buys the window from Telstar Manufacture; guess who is responsible for your warranty claims? If you say Telstar Manufacture then you are correct! 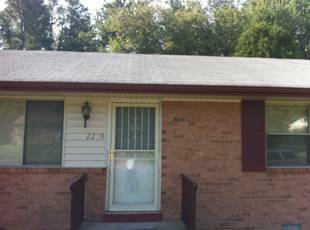 Although you bought your windows from XYZ Home Improvement, they did not make the window. They only sell, furnish, and install the windows. Even though, XYZ may service the warranty issues for Telstar, Telstar is ultimately responsible. So, point being when you invest in windows or any product not only do you need to investigate the home improvement company, but you need to know the history of the manufacture making the products. For another example, if you buy a TV from Sears with a warranty and it stops working; you would take it back to Sears. However, Sears will send the TV to the actual manufacture. I want to bring up one final point that many people have not thought of or even talked about. Concerning window warranties, you should be very careful buying these cheap windows being advertised. What you, the consumer, don’t realize is many home improvement companies selling these cheap windows are constantly changing manufactures with the hopes of finding a cheaper window to sell. Therefore, there may be additional cost for warranty claims, because the home improvement company doesn’t have a relationship with the manufacture anymore. On the flip side many of these low end manufactures don’t stay in business long. So, there goes your warranty. In closing, look at the warranty keeping these tips in mind and you will find yourself covered and satisfied with your purchase.